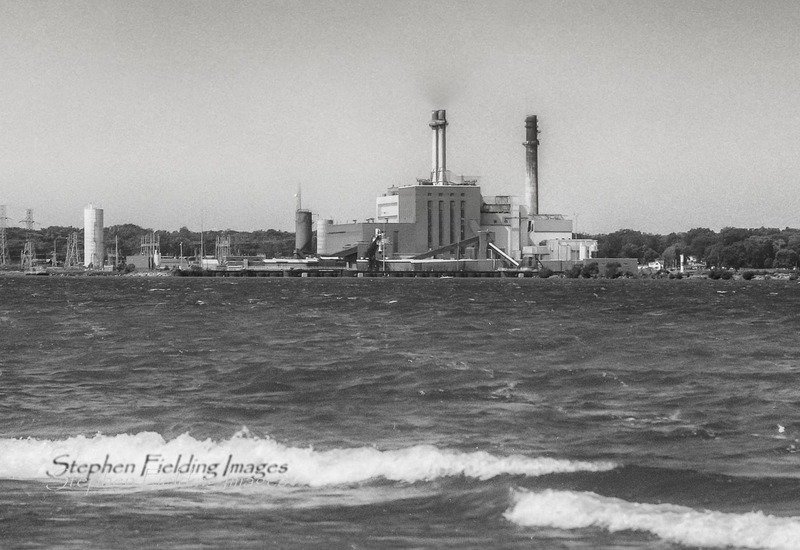 Located at the eastern end of Lake Erie, the Dunkirk power plant, built in 1950, now burns natural gas, though coal can still be used as a backup fuel. As you can see, the stacks no longer emit that dense smoke plume as in years past. Coal only produces about 1/2% of New York State’s power. In 1950, coal power generated nearly 46 percent of electricity in the country, making it the largest power source at the time, according to the Energy Information Administration. However, by 2017 natural gas had overtaken coal , generating about 34 percent of electricity compared to coal’s 30 percent. Still, natural gas emits some particulates, along with carbon dioxide. While natural gas is a step forward, greenhouse gases will continue to raise global temperatures, most pronounced at the poles and in the seas, at an alarming rate. The computer models all show that the planet’s flora and fauna will be drastically affected by the end of the century. Many coastal cities will be partly under water, agricultural land will be displaced, and summer heat will become dangerously high. Nova recently aired a two-hour special on climate change, showing each step of how scientists from a range of disciplines have demonstrated how the level of carbon dioxide (and other greenhouse gases such as methane and water vapor) have caused global temperature change over the past 800,000 years. Scientists have also documented the fossil fuel signature of modern carbon dioxide molecules, showing how they differ from those carbon dioxide molecules produced before the industrial revolution. This is the “smoking gun” proving not only that the global temperature is the hottest in 800,000 years, but that the warming climate is caused by human activity. The documentary concludes with the political and economic realities, and the policy strategies needed to address this global threat. Addressing climate change is a formidable challenge not only because of politics and economics, but also because we not only have to stop emitting carbon dioxide, we have to go carbon negative to stop the steady increase of global temperatures. This not only means producing nearly all of our power from renewable energy, it also means using far less power—leading us into what I call neo-industrialization. More on this in a future post. Even if you disagree with the findings of climate scientists, this Nova special is well worth watching. It is always useful to be familiar with one’s opponents’ arguments and evidence to know what one is refuting.